Through its vibrant language and illustrations, My Incredible Talking Body: Learning to Be Calm teaches children how to calm down in the face of all types of emotions – even those that may feel overwhelming or uncomfortable. By cultivating mindfulness of the body's signals about feelings, this book encourages acceptance of all types of emotions and helps kids identify various tools and strategies for calming down. My Incredible Talking Body is designed to be read interactively with a supportive adult in order to engage children as they explore the ideas in the book. Whether at home, in a therapeutic setting, in a small counseling group or in a classroom, My Incredible Talking Body (and its accompanying discussion guide) can guide rich conversation with children about emotions and help them learn how to be calm. The story behind My Incredible Talking Body: Learning to Be Calm started out of a need. As anyone working with or raising children understands, kids often have difficulty navigating their emotional worlds. Children need strategies for managing their emotions in a healthy way. Several years ago, when I started working as a school counselor at an elementary school with over 1,200 students, I searched for a book that would teach children the essential tools they need in order to calm down. When I couldn’t find such a book, I decided to create one to use with my students! That was the beginning of My Incredible Talking Body: Learning to Be Calm. and teaches specific physical and cognitive strategies for calming down. What inspired you to take your work in this direction? In my work as a school counselor, I was always searching for a tool that would succinctly present emotional regulation strategies in a format that was understandable to children. I also wanted it to reinforce the lessons taught in our Social Emotional Learning Curriculum (Second Step). Young children can control their cognitive states to impact emotional regulation: Masters, J. C., Barden, R. C., & Ford, M. E. (1979). Affective states, expressive behavior, and learning in children. Journal of Personality and Social Psychology, 37, 380. Philippot, P., Chapelle, G., & Blairy, S. (2002). Respiratory feedback in the generation of emotion. Cognition & Emotion, 16(5), 605-627. Exercise and movement is an effective strategy to improve emotional regulation: Bernstein, E. E., & McNally, R. J. (2017). Acute aerobic exercise helps overcome emotion regulation deficits. Cognition and Emotion, 31(4), 834-843. Fredrickson, B. L. (2000). Cultivating positive emotions to optimize health and well-being. Prevention & Treatment, 3(1), 1a. Seligman M.E.., Steen, T.A., Park, N.C & Peterson, C. (2005) Positive psychology progress: Empirical validation of interventions. American Psychologist, 60, 410-421. Bryan, T., & Bryan, J. (1991). Positive mood and math performance. Journal of Learning Disabilities, 24(8), 490-494. 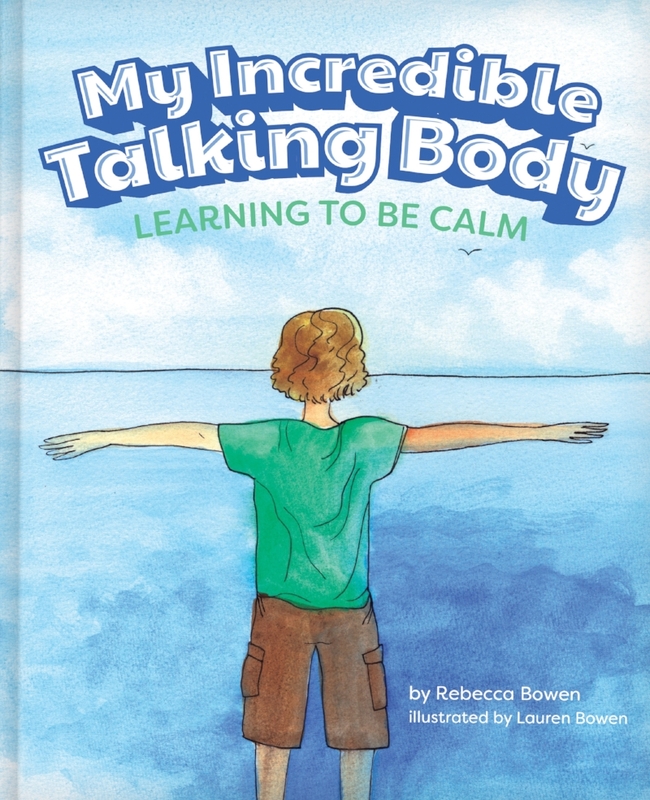 My Incredible Talking Body: Learning to Be Calm is available on both Amazon.com and in Mascot Books' online store. Interested in donating a copy or two to your school library or to a local nonprofit? Send me a message! Rebecca has worked for over 25 years in public schools as a special education teacher, school psychologist, and school counselor. She is deeply committed to developing emotional wellness in children and equipping educators and parents to support this growth. Cultivating her own emotional wellness, Rebecca is active in her faith and enjoys photography, gardening, playing the violin, and long walks with her husband along the shores of the Pacific Ocean. 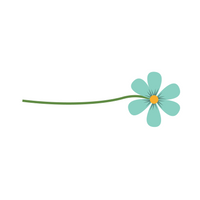 Lauren is a creative copywriter, blogger, and illustrator living and working in the wild west of Wyoming. Most days you will find her writing in a coffee shop, hiking in the Rockies or turning up swoon-worthy vintage treasures before settling in at home to paint. You can learn more about Lauren on her writer’s website, at Laurel Lane Co. where she paints watercolor portraits, or at her sustainable lifestyle blog, The Zero Waste Memoirs. Sign up with your email address to receive special resources and encouragement straight from me to you. © Copyright 2019. The Emotional Wellness Project.